Now Get Assure Cashback From Google Pay Scratch Card On Prepaid & Postpaid Recharge , Bill Payment , Purchase , Google Payment App Call Tez App Has Change To the app , A Indian Largest & Easy Send & Pay Money App , Today We Will Discuss On Every Scratch Card & Condition In Easy Word. Google have lot’s of app & products in market. past year they are launched most popular & user favorite Google Tez App August 2018 was there first anniversary so , in this first birthday thy have changed Tez App name & place Google Pay. This is indian best UPI app that & created for Indian Modi’s cash less India mission. Google pay helping you to payment up to 1 lakh payment in a single day. we see in online maximum of online shopping site & Shop accepted UPI, also many offline market stared to accepting money through UPI. Most user like to use PhonePe ,(Tez) & Bhim UPI App , here you can link any bank with this above apps to making easy payment to your customers & shop owner. From first day we are using this app app starting time its has some bug’s, issues & after few mejor update finally they are fixed them app problem & now its bug free & suitable to all user. Why Google Pay App Loot Is Best From Other UPI App ? Best Cashback Offer – We have already use all Indian UPI App but from cashback side Google Pay is best one , because this one pay cashback for money transaction , bill payments , recharge , shopping etc we will more discuss about it in below Scratch Card points. Easy To Use – This is a very simple & easy to use app, every user & people can use the app in this smart phone, this app giving you instantly & pocket recharge , just carrying smart phone with Google Pay app you can traveling any where in India without money. Heavey Security – Who have Bank account , registered mobile number & Google pay app & smart phone , bank ATM card they can use this app, in case anyone try to hacking your bank app scammers cannot able to do that by Google heavy security, because there have Google pin, login , pin , & transaction pin verification for transaction. Net Banking Facility – UPI means its working same as net banking facility , without bank permission you any bank draft make payment easily like net banking , we love this app by more specifications , if you want to know then installed Google Pay app & starting to using it. Search Card is look like lottery , after making transaction you can get scratch card on app, by opening card & scratching the card you can get cashback in bank. that absolutely free. This app has many type of Scratch card. win Scratch card by sending money or spending money. this one is best cashback app that provides cashback directly in to your bank account. 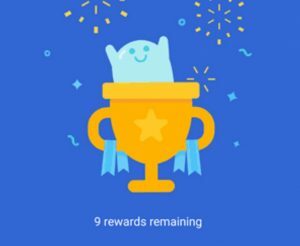 Google tez ₹35 Recharge Offer – As You Is Now Mendotry To Make Minimum ₹35 Recharge For 28 Days To Keep Active Your Sim Validity. Now Let’s See How To Get ₹10 To ₹100 Scratch Card On ₹35 Or Above Recharge. So You Will Get ₹35 Recharge In Just 25 If You Got Minimum ₹10 Scratch Card. From this offer you can earn money one scratch card in a month & total 3 card during offer priod 31 December 2018, in this offer you can pay bill Reliance Energy Bill get a assured scratch card with assured cashback. Send money to your friends or get received money of amount 150 or above get 5 scratch card for doing 5 different transaction with your family & friends, there earn rs.0 to 1000 cashback in to bank account. offer Valid till this year. This is Google pay first anniversary offer , they are charging name and offer , in this first anniversary they are giving 5 to 1000 assured cashback for spend money to 5 new user. total 50 million user will earn this cashback card. Google pay is now paying for share this offer , click on app share & share app link and refer code & you both will get 51 cashback for your referral friend first transaction. Google now added electricity bill payment options in there app , now make payment your bill get assured cashback of 50 minimum transaction amount should be 400 to earn this cashback, balance will cut from your bank account. Google now provide Assured cashback on prepared Mobile recharge , get Assured scratch card on every recharge, make a short to unlimited big amount recharge get bank cashback, scratch card depending on recharge amount. After downloading Google tez app & link your bank account & get rs.1 for each new bank account joining. scratch card added to bank account instantly. there you don’t have to make any transaction.